Again, such vibrant and beautiful colors! 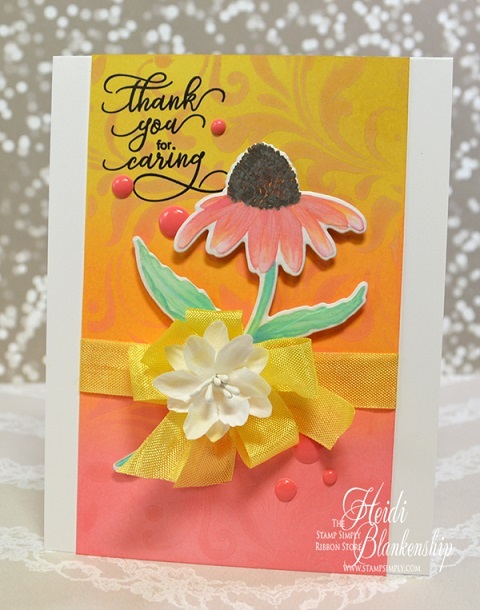 Heidi stamped her Coneflower with Antique Linen Distress Ink, keeping it light so it basically disappeared as she watercolored the image with the Oxide Distress Inks. 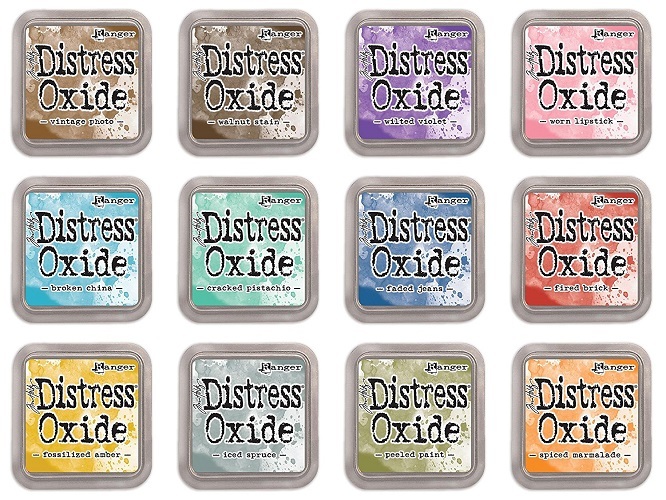 The Distress Oxide Inks were also used to create the blended, stenciled background. Again, Heidi shares more photos and the “how-to” on her blog post. A gorgeous floral with wonderful verses from Scripture. Find the full Summer 2017 Release here. Our Summer Release floral sets coordinate with our Spring Release, all with a focus on Encouragement, Care & Concern. Find the coordinating Spring 2017 Release here. Our Summer Release also includes die sets to coordinate with our Autumn sets and Christmas sets from last year. 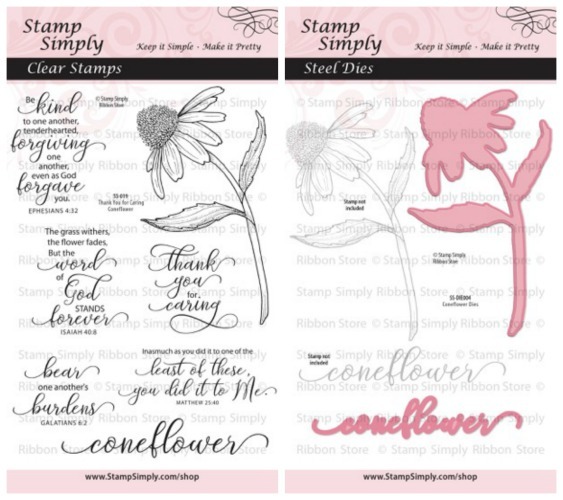 Tim Holtz Tonic Stamp Platform – IN STOCK AND SHIPPING!!!! 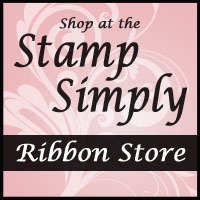 Lots of RIBBON in SPRING/SUMMER COLORS are on sale, too! We’ll be back soon with more projects featuring our NEW products. Wow–pretty colors and cute bow. Just discovered your blog through your constant contact email I received and I’ve just fallen in love with your cards and your products. Viewed your video presentation. . .now I have a whole new wish list started! So glad to discover you. Thanks so much, Helen! Browse to your heart’s content. You will never run out of things to view!!! So happy to have you join us as a blog reader!